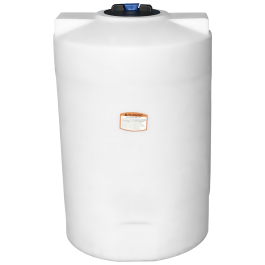 Norwesco 75 Gallon Vertical Storage Tank, part# 41863 is a natural white stationary liquid storage tank. Vertical storage tanks are used in a variety of industries including industrial, agricultural, and commercial chemical storage applications. Common liquids stored in our tanks are Water, Calcium Chloride, DEF, Ethyl Alcohol, Ferric Chloride, Ferric Sulfate, Hydrochloric Acid, Biodiesel, Fertilizer, Phosphoric Acid, Polymers, Sodium Hydroxide, Sodium Hypochlorite, Sulfuric Acid, Urea, Brine, Agricultural Chemicals, Industrial Chemicals and many more. Please contact our sales team to verify chemical compatibility before placing your order. 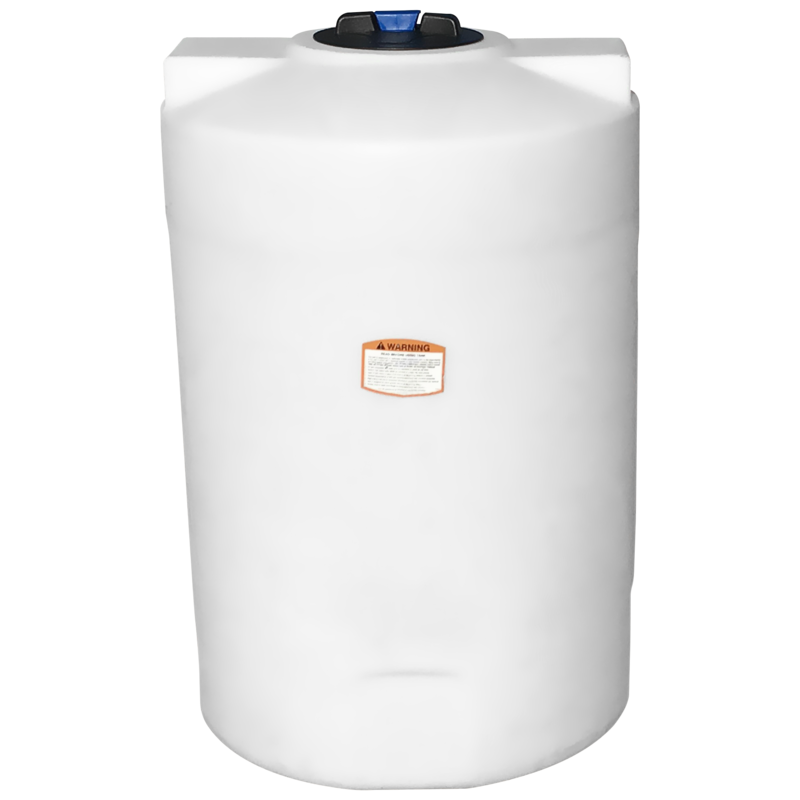 The Norwesco 75 gallon vertical storage tank has a specific gravity rating of 1.5 (12.51 lb /gal), making it safe for variety of liquid storage solutions. It features an 8" threaded vented lid, and 1 1/4" polypropylene female NPT bulkhead fitting outlet.